The Ottawa Pops Orchestra brings the music of Harry Potter to the orchestral stage. Featuring music from all eight films alongside a synchronized light show, Harry’s Musical World will dazzle Muggles and Wizards alike. Come dressed up in your finest robes or house colours! 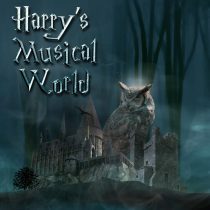 Harry’s Musical World is coming to Centrepointe Theatres May 18-19 at 7:30pm and May 20 at 2:30pm. Tickets range from $25.75 – $45.75 and can be purchased through the Centrepointe box office at centrepointetheatre.ca or (613) 580-2700 .